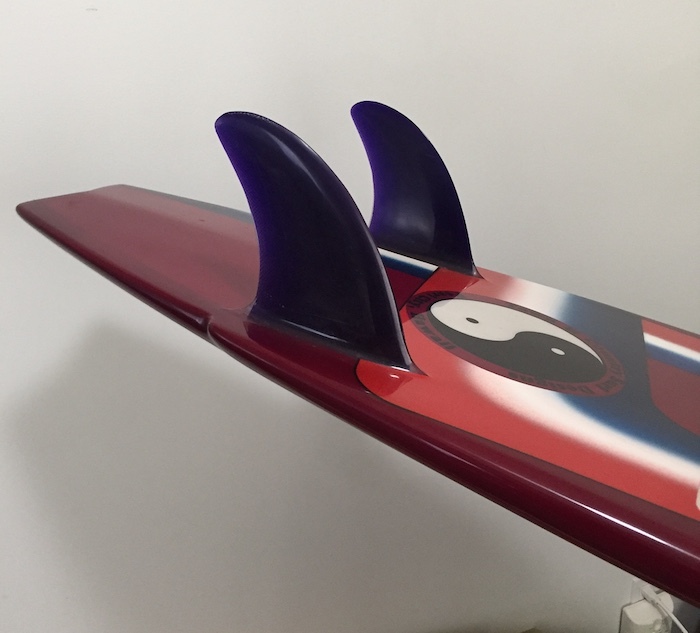 Beautiful and rare Larry Bertlemann hand shaped personal rider 5’10 twin-fin. 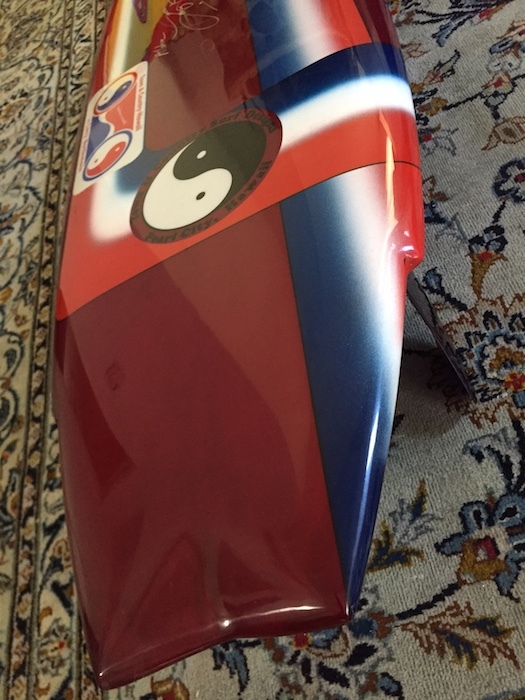 This board is in excellent condition having been meticulously restored by the legendary vintage restoration expert, Randy Rarick. 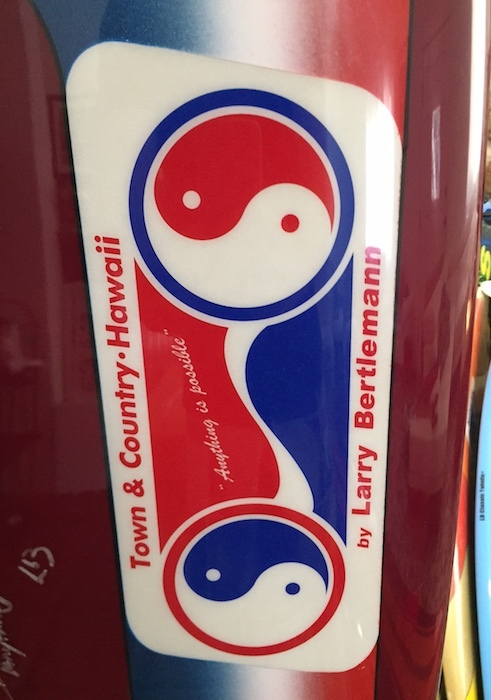 Hand signed “Aloha, Larry Bertlemann” along with his trademark quote “Anything is Possible”. 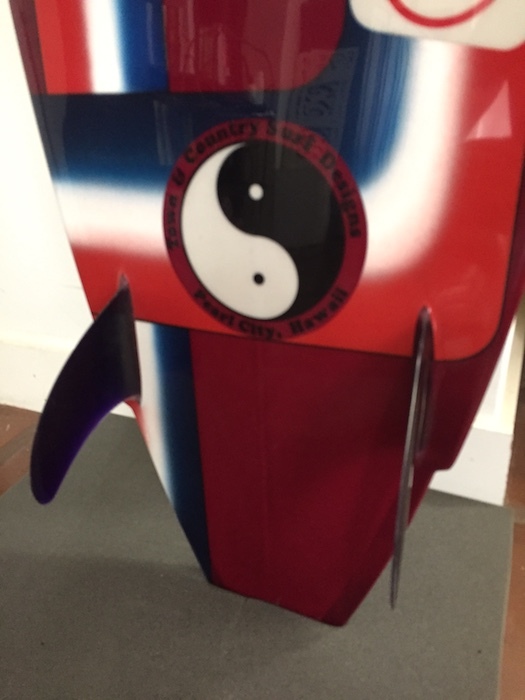 Visually stunning and rare twin-fin, an incredible piece of surfing history that you won’t find anywhere else!